Gloria discovered long time ago that what she loves the most in this world is human diversity, which makes each and every single one of us authentic, able to transform our lives to freely choose how we want to develop it. Gloria has Hungarian, Cuban and Guatemalan roots, she lived as an authentic nomadic, in 6 different countries. She studied international Relations and Political Science at Francisco Marroquin University and a Masters Degree in International Development at the Sapienza University of Rome. She became renowned throughout the American continent and parts of Europe through a Youtube video that went viral with over 20 million views, where she denounces Populism and Socialism of the XXI Century. Since then she has become a benchmark leader for a new generation that is beginning to see the way of doing politics with new eyes. As an international speaker, Gloria has conducted more than 100 conferences including “Republic Vs Populism”, “How to save our Republics”, and “Why and How We Can Defend Capitalism Beyond Economics” in México. Guatemala, El Salvador, Nicaragua, Brazil, Argentina, Uruguay, Chile, Ecuador, Bolivia, Venezuela, Colombia, Spain, Dominican Republic, Florida, New York City plus the countries included in the FMRS. 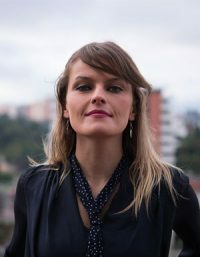 She is coauthor of The Populist Deceit, “El Engaño Populista” with the Chilean Libertarian Lawyer Axel Kaiser and Author of “How to Speak with a Progre” and “Cómo Hablarle a Un Progre”.